Myth: Igloo is the best activity to feel real Finland. Reality: Igloo lodge is just 1 of many possible activities and experiences in Lapland worth to try during your holidays in Finland. 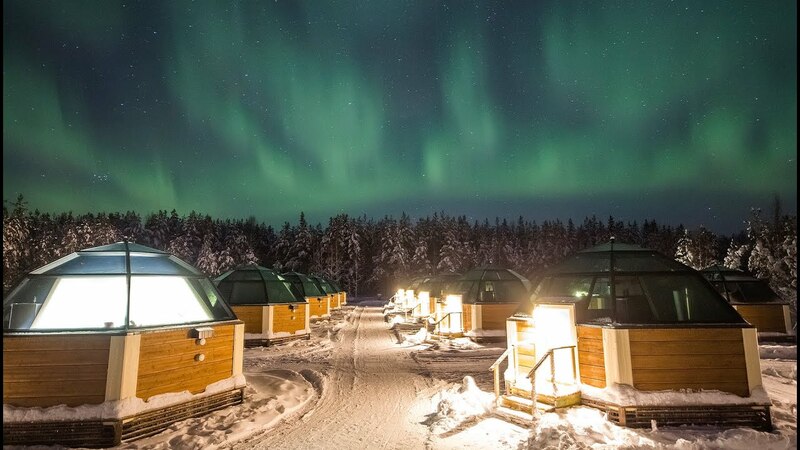 Myth: Glass igloo is the best place to see the Northern Lights. Reality: Northern lights can be seen not just from igloo. You can stay at hotel, cottage or apartment in Lapland, go skiing or ride husky sled and see the Northern lights. Just look at the nights sky and enjoy! More tips how to see Northern lights and Aurora Alarm services. Myth: Glass igloo prices are extremely high! Reality: Yes, it can be quite high during peak seasons. Last Minute deals for Igloos can offer prices with discounts up to 50%! Myth: Igloo is something similar to traditional Finnish holiday cottage vacation. Reality: Igloo is just bed and glass roof! It is good for 1-2 nights stay max. because of basic facilities. Finnish holiday log cottage is absolutely other experience: nature, silence, privacy, relax, fireplace, sauna, barbecue, and many other cottage life features. Myth: Glass igloo is a kind of top luxurious accommodation. Reality: Despite the high igloo price you are paying for an experience, not luxury! Some igloos may be quite modest with limited facilities, but great views. Find our selection of Glass Igloo lodge in Finland. # Prices are from 255 euro/night.